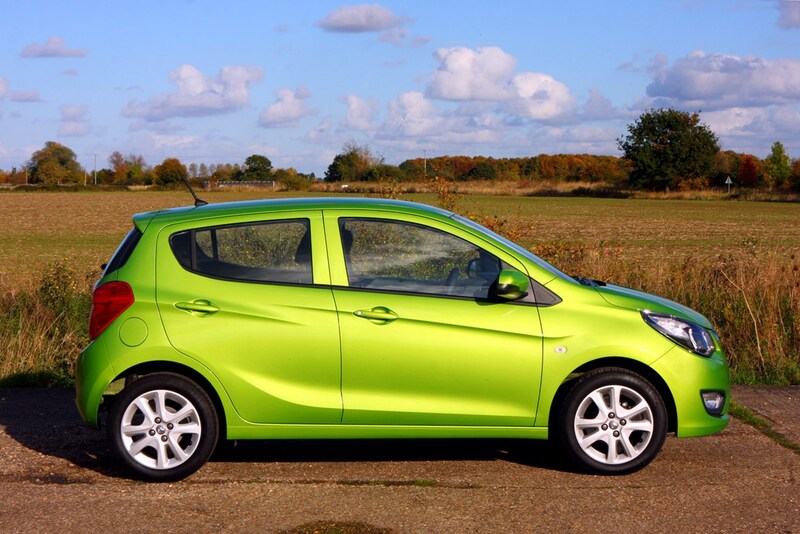 Looking for a cheap city car? Which would be best - a new Dacia Sandero or a secondhand car with a frugal but nippy three-cylinder engine? Here are our favourite compact, petrol-powered runarounds with one less cylinder than you would normally expect - and even an electric car makes the list. Everything here can be had for under £10,000 for a new model, and many for around £2,000 as used cars, and come with lots of driving enjoyment included. Find out how to finance your purchase and use our free valuation tool to find out how much your current car is worth. 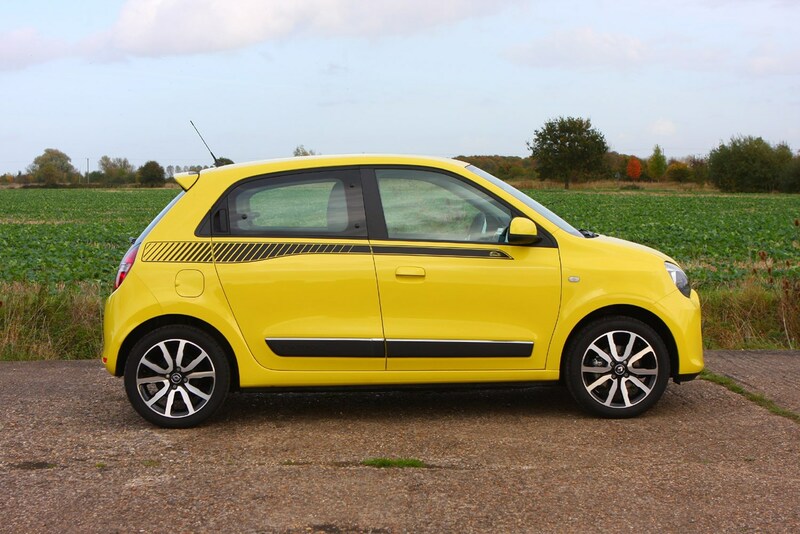 It might share its rear engine and rear-wheel drive with the Porsche 911 but that’s where the similarities end – the Renault Twingo is a small city run-around for people who aren’t interested in where the engine goes, just how easy the car is to manoeuvre and park. What it does mean is a greater agility thanks to front wheels that can articulate to a tighter angle, so you can perform u-turns in smaller spaces than a traditional front-engined car. There’s also more space inside for passengers or luggage, but don’t get carried away and try to carry both. If you don’t regularly transport rear-seat passengers then owning a car with plenty of rear leg space means carrying around a lot of metal that you’re not getting any benefit from. Add to that the increased dexterity of a short-wheelbase car and the advantages of something like Toyota’s tiny iQ as a method of urban transportation should be abundantly clear. You get plenty of space upfront, including enough room for a passenger if the need should arise, and a perky but efficient 1-litre engine and a good amount of standard equipment. 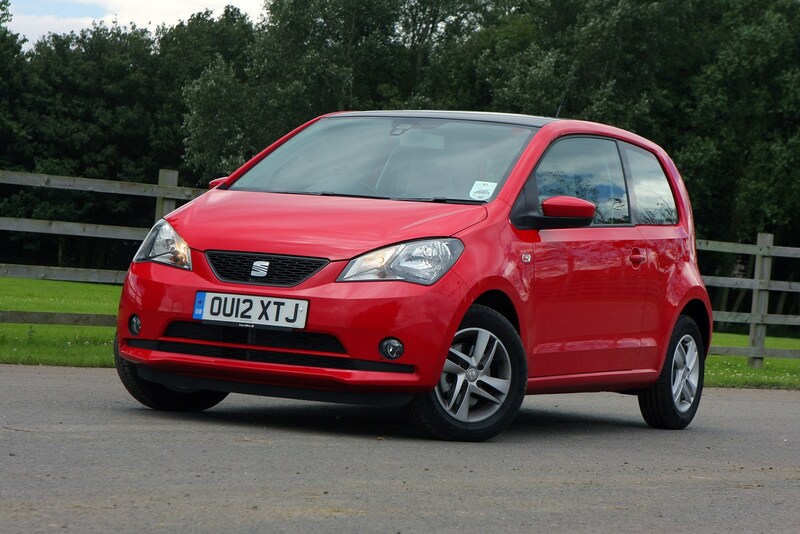 As this car first came out in 2009 there are plenty of used models around and you can pick up a bargain for just under £3,000 – good value when you consider the low fuel, tax, insurance and other running costs you’ll have to pay during the car’s lifetime. 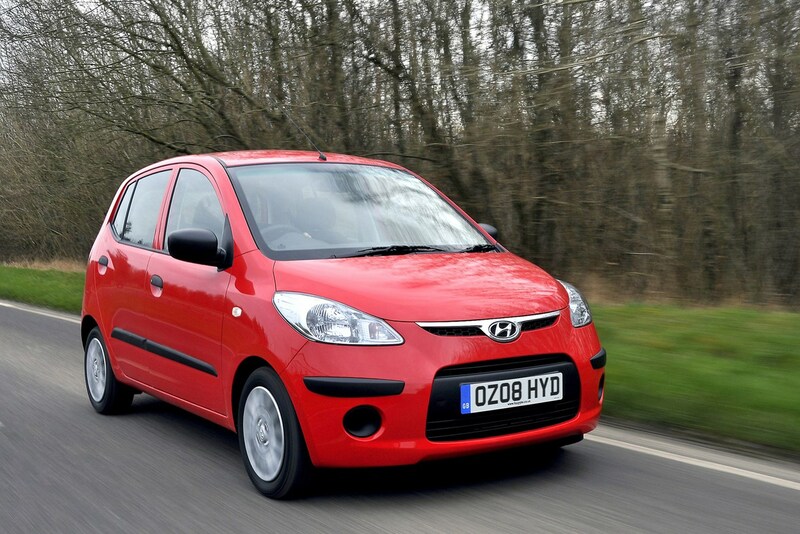 The Hyundai i10 was right at the forefront of a change in philosophy for the Korean manufacturer. This was a car, so it claimed, that people would choose to buy because they wanted to rather than because it was all they could afford. As such this generation of i10 is much more interesting to look at than the previous car’s rather bland and generic looks. It’s not a world apart in terms of driving experience though, and this city car is still one for getting easily from A to B rather than an exciting performance hatchback. Still, there’s an increased amount of sound deadening and better aerodynamics, so expect low cabin noise when you’re on the move. The engines are also quiet until pushed hard too. Interior quality is more focused on longevity than plushness so although the surfaces feel hard to the touch, the cabin should at least age well. There’s proper space for passengers in the back of a Kia Picanto, as well as the bonus of rear doors. Granted you won’t want to spend too much time back there if you are tall but it’s fine for children. 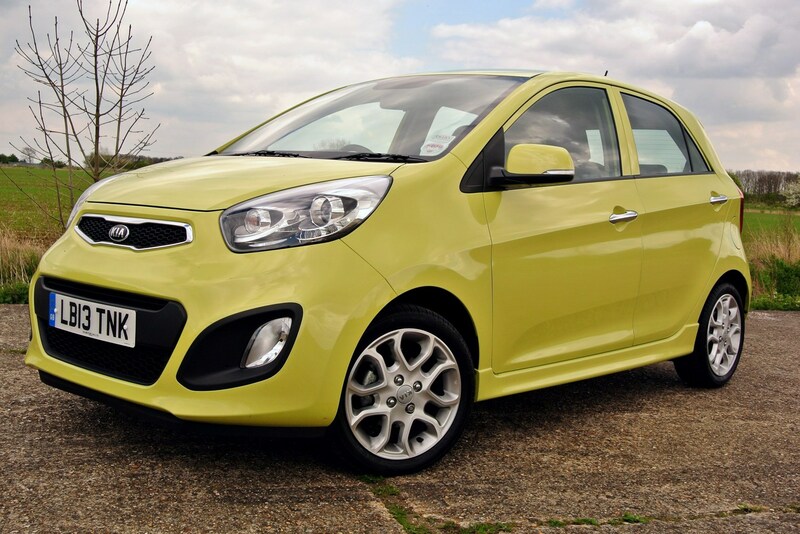 There’s a bigger boot than the previous Picanto too and more exciting styling, with lots of creases and sharp lines protruding from the bodywork. Compact size and even smaller running costs remain, and you can pick one of these up for less than £3,000. 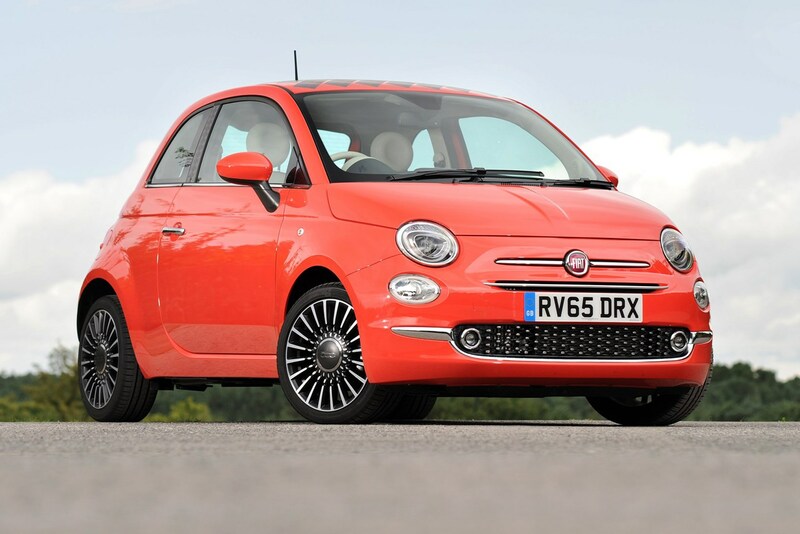 Small and full of bags of character, the Fiat 500 proves a city car doesn’t have to be a boring runaround. As well as retro chic styling you also get an unusual two-cylinder engine that makes a fantastic sound and costs less to run too. Add to that a whole host of individual customisation options and you’ve got a fun and exciting urban car. The only downside is that this is reflected in the price. 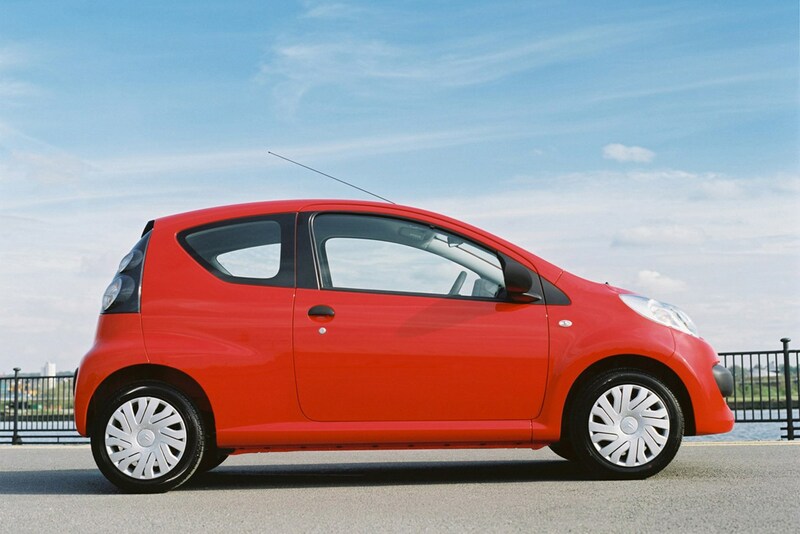 The Citroen C1 was developed alongside the Peugeot 107 and the Toyota Aygo and there’s very little difference between the three. We prefer the looks of the Citroen and at the time of sale they were a bit cheaper too, so you should find that discount passed on when looking at secondhand models. It’s actually the cheapest option here provided you don’t mind rolling back the years to an early model. It won’t exactly be packed with creature comforts but running costs will be extremely low and when combined with that next-to nothing price tag you could be looking at seriously cheap motoring. 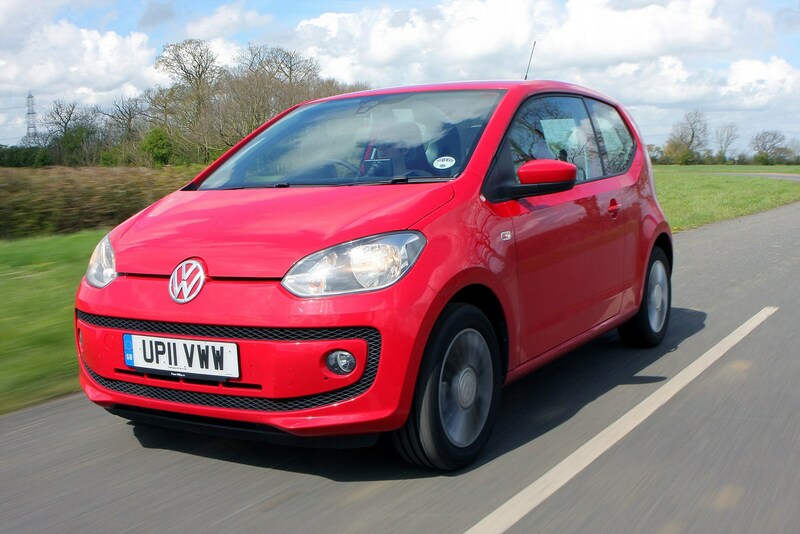 Another one-of-three developed alongside one another, together with the Volkswagen Up and SEAT Mii. 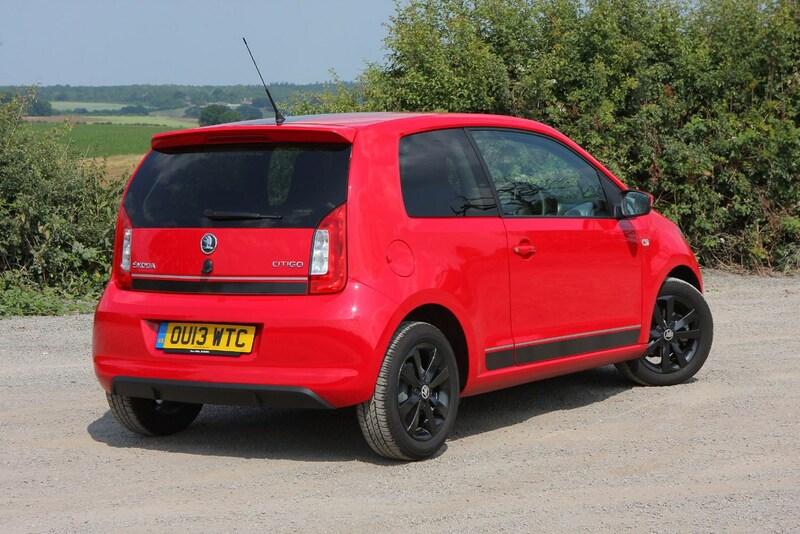 We’ve picked out the Citigo because it’s a practical car and was the subject of some good deals when it was first launched. Not only do you get a hook on the glovebox to hang a bag from, but there’s also a media holder that fits in the cup-holder to hold your phone. In addition there’s a parking ticket clip on the windscreen and another on the dashboard to keep a photo of a family member. The Viva is easy to drive and well equipped, although the boot is small and it’s not the most exciting city car you could choose. But running costs are low. It’s distinctive from the sides, if not from the front or back. Unsurprisingly, the Viva is no sports car, but it’s great for around town. It comes with loads of kit as standard, including electric front windows, cruise control plus electrically adjustable and heated door mirrors. 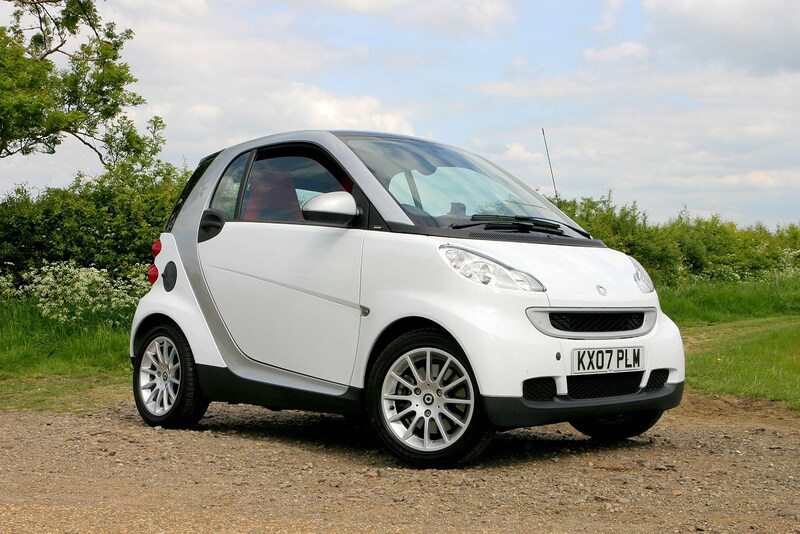 The archetypal city car – picture a small urban vehicle and it’s likely you’re thinking of a Smart ForTwo. 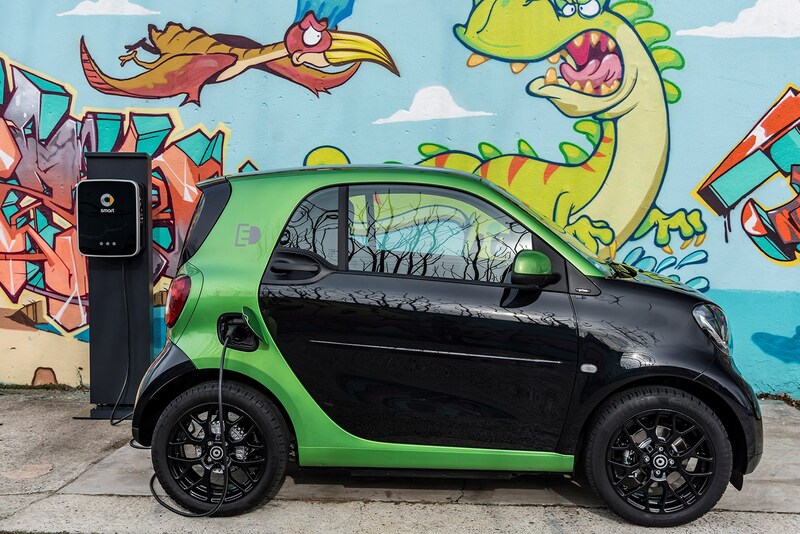 As well as a laughably small turning circle to help nail manoeuvres in tight city streets, the short wheelbase makes parking the Smart an absolute doddle no matter where you find a gap. These cars held a premium but thanks to an increasing number of rivals you can now pick one up for less than £2,000. Bear in mind though this will be an older car that has done the majority of its miles in the city. 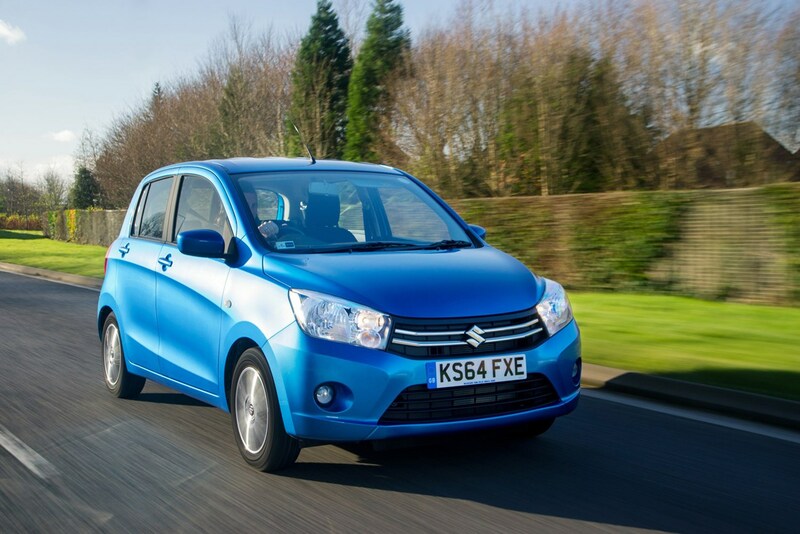 Replacing the previous Alto and Splash models the Celerio might sound like a salad ingredient but it is actually a remarkably good value and charming car. It’s another five-door city car, with ample space inside for passengers despite compact external dimensions. Providing you can find a low-mileage example there shouldn’t be any problems with buying used – Suzuki has a good reputation for building tough and long-lasting cars. 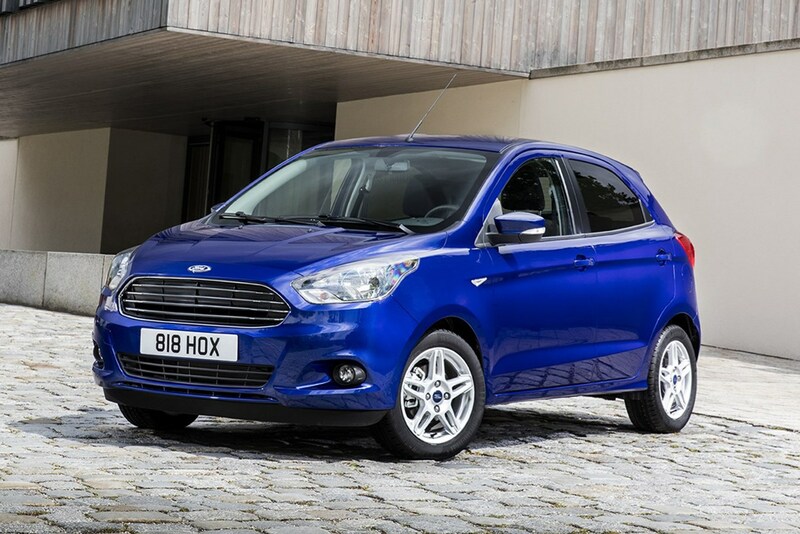 Practical and good value for money, this five-door Ka+ replaces the three-door Ka, and also cheaper versions of the Fiesta. It might not compete with rivals in the design stakes, but is neat and tidy with plenty of standard kit, and feels like a lot of car for your money. Just two 1.2-litre petrol engines are available, with two specifications offered. Base Studio trim comes only with the less powerful 70hp motor, while Zetec trim is available with 70hp and 85hp powerplants. 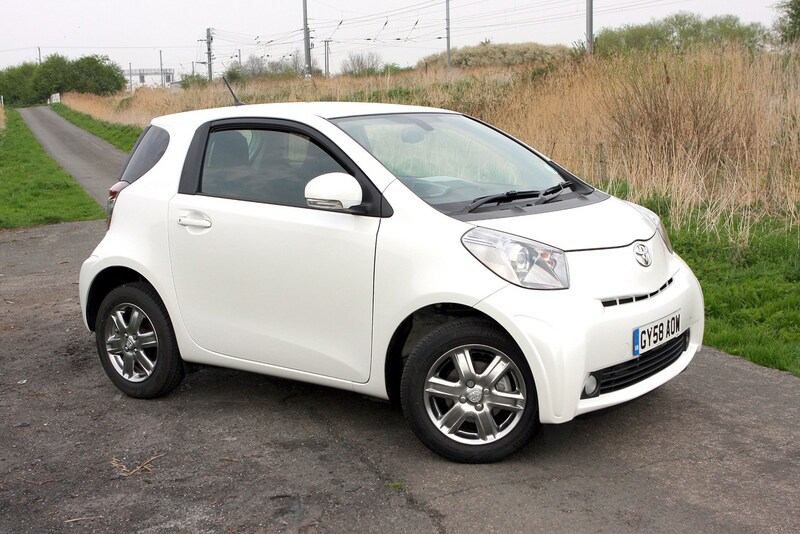 It might not be the most economical city car, with many rivals offering better fuel consumption, but it is one of the faster city cars. For its diminutive size, the Up offers a lot of refinement, high quality interior, and a great price - although it is more expensive that its Mii and Citigo sister cars. You can buy a three- or five-door version, both with a surprisingly spacious boot. The quality of the interior is what you come to expect from the VW brand. Although the acceleration isn’t instant, the Up is nippy enough to zoom around the city and still be economical, and it handles well. It’s better than the previous Fox, and feels like a premium city car. 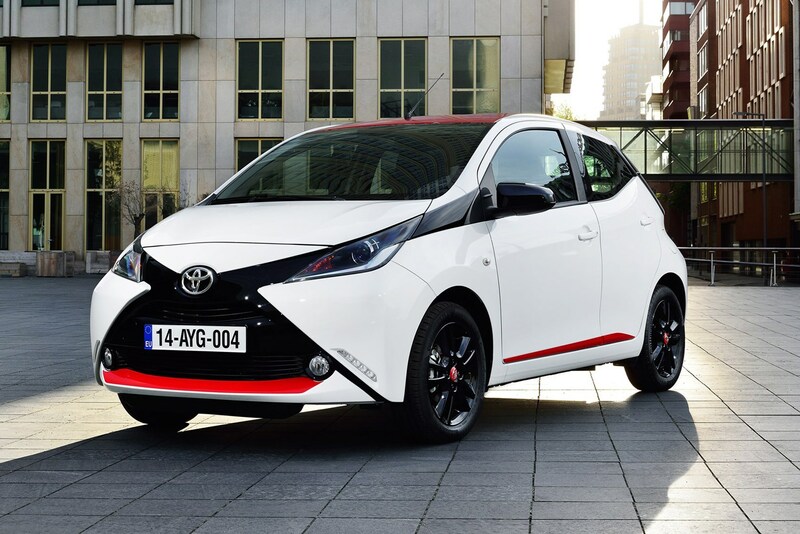 The Aygo is distinctive in looks, and easy and economical to drive. The contrasting X across the nose of the car really stands out from the crowd. Three- and five-door versions are available, and the boot is deeper than before. The interior is much improved from the previous version, and the seven-inch infotainment screen is great. Toyota claim it can achieve 68.9mpg with the manual gearbox, and performance is find for city driving. The Mii is a class act, well priced with a classy interior. Running costs are low, and it’s well built. It shares the platform with the Citigo and the Up. Performance figures are the same as for the Up; it’s never going to throw you back in your seat with its acceleration, but it’s nippy around city centres. Steering is light meaning city driving and manoeuvring in and out of tight parking spots is a breeze. Despite its size, it feels like a much bigger SEAT. The quality is great throughout. Be aware that a car that has spent its life in the city is probably going to have done lots of short journeys. These prematurely wear an engine, which doesn’t have time to heat up properly. All the more important then to make sure it’s been regularly serviced and topped up with oil. While some of the cars on this list offer a modicum of rear seat space, others are pretty pokey indeed, which may be fine for your current circumstances but may not suit if you have plans to expand your family or buy a big dog. Make sure you can get a good amount of use from your car by deciding what you might need in two or three years‘ time. The biggest disadvantage of buying used is the lack of warranty - something you’d get if you spent the same money on a brand new car. While some manufacturers offer a transferable warranty, many don’t, which could leave you with nothing to fall back on should your engine explode in nine months’ time. One of the big plus points for a small car is the diminutive size of the wheels it runs on - this makes tyre replacement a cheaper exercise. Bear in mind it also means you have a smaller contact patch and therefore less grip on the road too.